A new report released by the United Nations and the Bill and Melinda Gates Foundation presents a vision to eradicate malaria by 2040 that involves new strategies, tools and financing and urges world leaders to expand their commitments to fight a disease that still kills about one child every minute. The report – From Aspiration to Action: What Will It Take to End Malaria? – urges major donors and malaria-affected countries to expand their commitment to the fight against the disease, noting that eradication could save 11 million lives and unlock $2 trillion in economic benefits. “Over the past 15 years, we have seen tremendous progress in reducing the burden of malaria globally – a direct result of our collective action – and we now stand in the unique position of putting an end to this disease forever,” said Ray Chambers, the Secretary-General’s Special Envoy for Financing the Health Millennium Development Goals and for Malaria. According to a news release on the report, global investment in malaria has jumped in recent years by 2,000 per cent annually – from just $130 million in 2000 to $2.7 billion in 2013 – fundamentally transforming the fight against the disease. Malaria deaths have fallen dramatically – saving an estimated 6.2 million lives and averting 663 million cases of the disease since 2000 – and more than half of the world’s nations are now malaria free. These gains have accounted for 20 per cent of the total progress that the world has made in reducing maternal and child mortality under the Millennium Development Goals, and they have helped convince Asian and African leaders to commit to malaria elimination by 2040. The challenge, according to Mr. 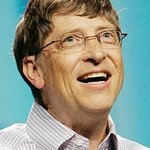 Chambers and Bill Gates, is that one billion people remain infected with the malaria parasite, and half of the world’s children remain vulnerable to death and disability caused by the disease. Malaria still kills about one child every minute. They argue that eradication is ultimately the only feasible solution to this challenge, and assert that the alternative to eradication – controlling the disease forever without eliminating it – is biologically and politically untenable. The report envisions a new approach to eradication that will draw important lessons from past eradication efforts and apply innovative strategies, tools and financing.